good morning, Monday: It’s vacation, y’alls! “Winter break” has begun! For some reason, instead of offering the traditional two-week long spring break that many colleges do, USM allows students a single week off in February and another in March. This momentary reprieve from academic deadlines will provide me a chance to get ahead on assignments, visit with friends, and above all allow me an opportunity for relaxation. I’m pretty thrilled about the week-long fun that’s about to be embarked on. Therefore, on this Monday morning, I bring you my “vacation edition” excerpts of mood-enhancing media. 1) Similarly to last Monday’s post, this week I’m happy to report that several more dogs were adopted through Friends of Retrievers Rescue. How better to start the week than will stories of animal adoption?! 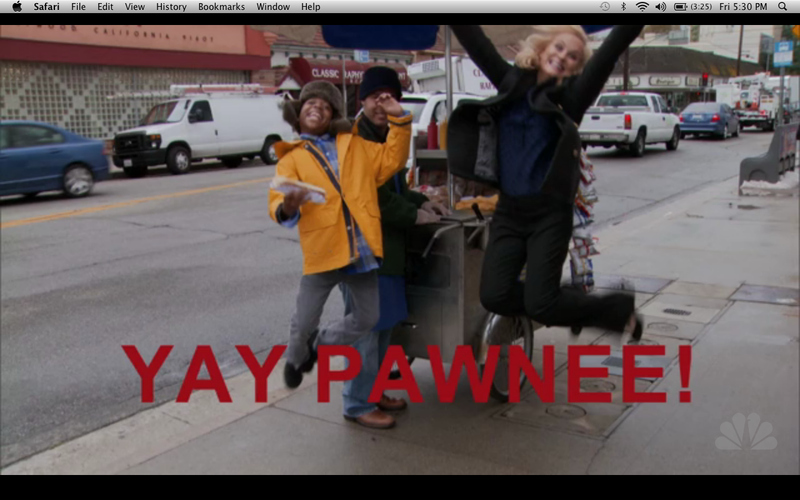 2) Pawnee & Leslie Knope are great. 3) Josh has an amazing Thai funk album, The Sound of Siam. Here’s my favorite track, Mae Kha Som Tam. I challenge you to listen to this song next time you’re walking somewhere and try to keep your stride from turning into a strut (it’s impossible! ).